Brooding Hero, Great Read, HarperCollins Publishers, Historical, Review, Toe Curler!! Historical romances aren’t my favorite kind of romance. The elaborate descriptions of the amount of clothing a ‘lady’ has to put on to feel suffocated (enough to make the reader stop reading and come up for air) and the so called ‘ton’ which every historical author raves about in their books just doesn’t do it for me most of the times. However, as there are exceptions to every rule man-made or otherwise, I do enjoy historical romances by certain authors such as Judith McNaught, Julie Garwood and Lisa Kleypas. Stranger in my arms starts off when Lara Hawksworth gets the news that her husband who was believed to have been killed on a shipwreck almost a year ago was back from the dead. Unable to believe that her husband (Hunter), with whom she had never enjoyed being married to is back, but duty bound to check out whether the news could be true finds Lara with a man who has an uncanny resemblance to Hunter. But this version of her husband seems to be kinder, more attentive, more loving and oh so deliciously sensual that Lara cannot truly believe that this man could be her husband. However, slowly ‘Hunter’ seduces his ‘miss goody-two-shoes’ wife which seduces the reader along on this wicked ride. In the end, this new ‘Hunter’ turns out to be the half-brother of the actual Hunter Hawksworth, whom Lara finally saves from being sent to the gallows for deceiving the entire family about his identity. I loved reading every bit about this new Hunter. He was deliciously sinful, the kind of hero that you can really dream about (yeah that’s the whole reason why we ladies tend to read romance novels). I sometimes found myself irritated with Lara though for being such a goody-two-shoes at times that she just tended to get on my nerves during the first half of the novel. 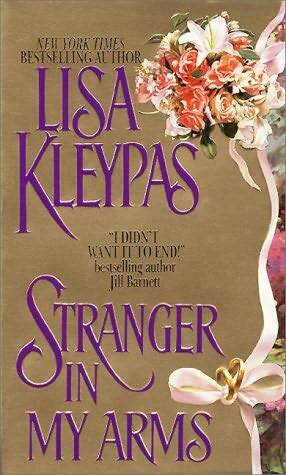 I recommend this for all Lisa Kleypas book lovers.